When I die, who will take care of my children? Whom do I trust to follow my wishes in managing my estate? If I’m still alive but incapacitated due to injury or illness, who will make decisions about my health care and my other affairs? 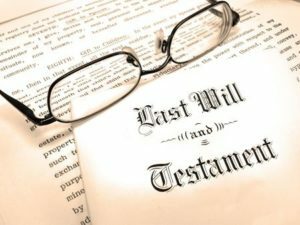 The attorneys at DeBlasio & Gower LLC can help you prepare an estate plan that answers these questions. Here are some key elements to an effective estate plan. Will – A will can designate who will become the guardians of your minor children, who will manage your estate, and who will receive your property. Trust – A trust is another method for passing property to others. It can also be used to hold property during your lifetime. Unlike a will, the property in your trust can be passed to others without the delay and expense of going through the court system. It can also provide income for your beneficiaries over an extended period of time. And it may have tax advantages for your estate. Power of Attorney for Property – A power of attorney for property can designate someone to make decisions about your property if you are incapacitated and unable to make those decisions for yourself. Power of Attorney for Health Care – A power of attorney for health care can designate someone to make decisions about your health care if you are incapacitated and unable to make those decisions for yourself. Living Will – A living will can inform your family and your physicians about how to handle your end-of-life medical care. Don’t wait. Without an estate plan, your loved ones may face unnecessary conflict, delay and expense. Contact the experienced attorneys at DeBlasio & Gower LLC to start preparing your estate plan. Call (630) 560-1123 or visit www.DGLLC.net. DISCLAIMER: This blog post is not legal advice and should not be relied on by anyone as legal advice in their particular situation. While DeBlasio & Gower LLC welcomes communications via its website, please be aware that communicating any information to DeBlasio & Gower LLC or any of its attorneys through its web site or via any other method without a formal engagement with the Firm does not constitute or create an attorney-client relationship between you (or any other users, senders or recipients) and DeBlasio & Gower LLC or any of its attorneys. For your protection, please do not send us confidential information until you have spoken with one of our lawyers and received authorization to send that information to our Firm. Thank you.